Thanks for the great info Troubador and I also am thankful for this site, you and others, My goal was to get pre approved and see if I was even qualified before I fork out 2000 bucks for Cdl school. It really paid off cause when I mention this site or I am monitoring one of their employees progress, I get almost instant call backs, I'm approved to start orientation when I finished school from a few companies. I'm really surprised cause when I started researching this industry last year and before TT site, I was at another site and with all the negativity (I said no I don't think so!) Then I read Brett's book which was hilarious by the way, this site changed my perspective on the trucking industry. Now finally I think I'm almost ready with having my personal life in order because from what I'm hearing I must be prepared to be out on the road for awhile. So thanks again, Mo out!!!! Hey! Troubador222 thanks for the info on CRST, I'm interested in them and would like to get your experience with their orientation, physical etc. do's and don'ts when you get a moment. 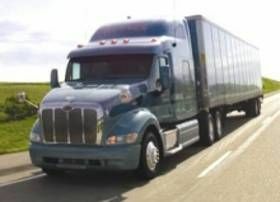 I sent in an app and was contacted by recruiter John who stated they didn't have a school in Illinois area and due to Illinois strict CDL laws he recommended I get my CDL first. He also said to keep him informed on my progress. It was a little disappointing but also made me realize why we have so many Cdl schools here. I have a list of over fifty certified state schools and the majority here in Chicago. IT took a while to find the right school that fit. So thanks again and Much Success. Sincerely Mo! Thanks Britton R. I guess the concern is average miles for a new drivers or med range hauls 120k could possibly go well over a year, I understand miles are never guaranteed and just want to be prepared to stick it out. And I know research is the key. Hello everyone preparing/studying for truck school and reading all updates and getting valuable info from this incredible forum. I first started out with the manual and later found this forum from FB and I said to self this trucking thing is way deeper than I imagined. Things like tandems,ways of driving a tanker as apposed to driving a dry or flat bed and by the way whats electric brakes about. I visited a school and while out in the yard watched some students practice the pre trip yikes ! it was like deers staring in headlights. Thanks TT. It's a good school an I did notice they also had to state the function of the part or component. All that being said I have a question I see some companies offer free training if you drive 120k for them and would like to hear your thoughts on this. I have an offer but is still leaning toward private. Thanks. Hello, Everyone 2nd time in forum, Man wow! Thanks Brett that's some really great advice on don't worry to much about finding a good company. This can be a little stressful with all the company bashers on you tube and other places. Looking to start school in a few weeks when I find one that excites and gets me motivated (pumped). I've checked out a few couple so far but for various reasons didn't seem would be a good fit. (Thanks again for choosing the right school info). Welcome to the forum! Best of luck to ya! Hey thanks Ryan in case you didn't know make sure you check out all the veteran friendly employers like Crete, Schneider and Werner to name a few some will pay for your training or reimburse you. Good luck Troop!!! I've been researching schools and companies the past six months but was discouraged at first with all the negative stuff and outdated info and I actually set the idea of trucking to the side. That was until I ran across TT !!! Compared to some of the other sites I've seen they are so negative and full of company bashers. From what I've read it seems the industry is changing and moving toward the future high tech big time which will affect wages and life style. I'm leaving the security Industry and 50 plus years and paying for this myself. My main focus is get cdl, get hired, learn and train, focus for a safe 1st year !!! (Be Nice) and I've learned this from TT forum, Thanks Brett !!! Check this one for all you wanna be's like me out there, one school I contacted had a special reduced rate but you have to pass all test the first time. Price was great and I believe in me but I want to enjoy this experience with less stress as possible. Crawdog out!! !